Sr.Benitez, who then became USTED, contacted us to do a front end and back end development of Grupo Prats’s site. They are the top optical lenses manufacturer in Spain. The project was very ambitious, as a new positioning for the brand. Our job was to help them create the new website, which was very challenging. A site seemed with parallax style. It included videos, pdf, visibilities and hidden layers and usable with any dispositive. 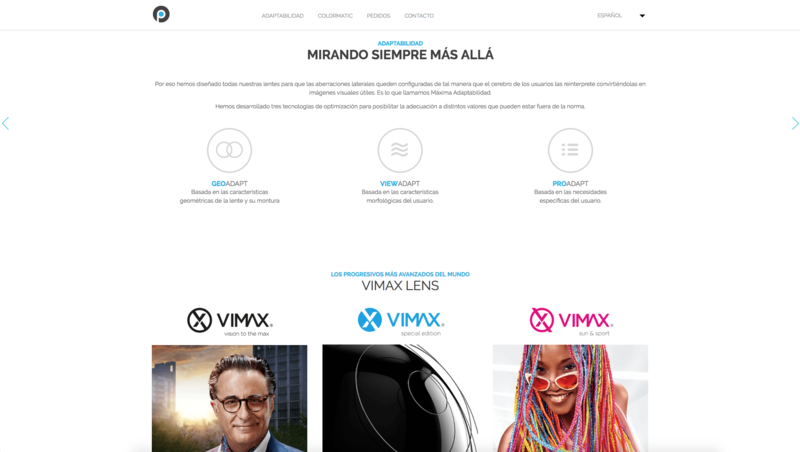 Translate the responsive layout designed by Martí Pujolàs to a website 100% responsive. We worked with HTML 5 based on Bootstrap: a HTML, CSS, and JS framework for responsive developing, mobile first projects on the web. We also optimized images and videos so they could be viewed in different dispositive and achieve a good result. We used PHP to manage the six languages of the site, creating different URLs for each language. We took care about SEO in positioning the website. Grupo Prats has a new positioning on internet with: a brand new image, a brand new concept, a new responsive site. Do you want something similar as our work with Sr.Benitez?